Pink and purple haired Harajuku girl wearing a kawaii pastel look featuring items from the Japanese brands Milklim, Nile Perch, WEGO, and Menhera-chan. 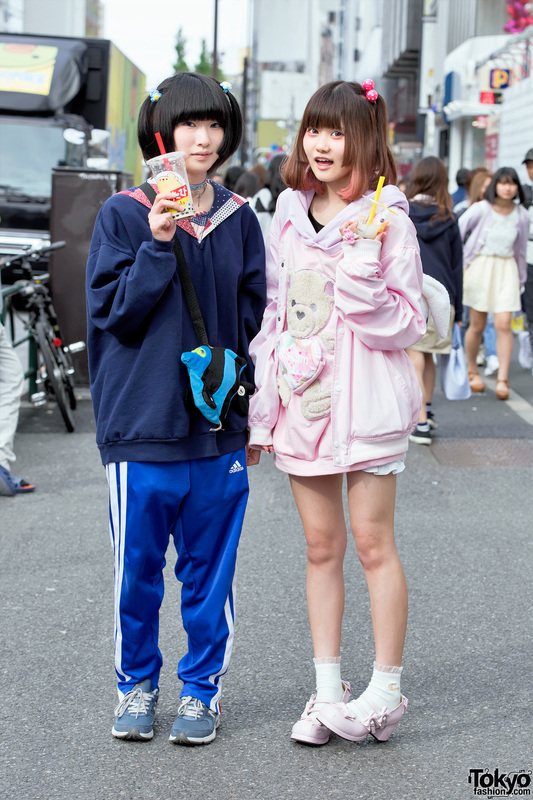 Harajuku girls in oversized sweatshirts with plush animal bags along with items by Milklim, Punyus, Swankiss, and New Balance. 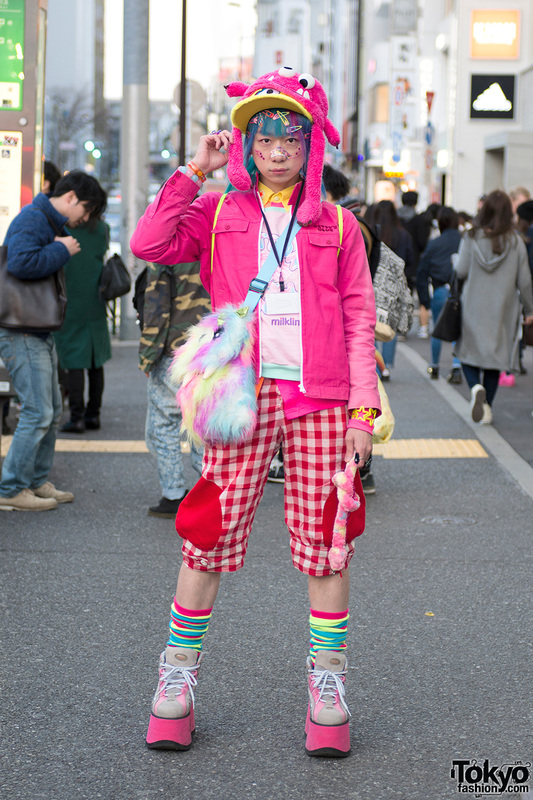 Harajuku girl with pink & purple hair, pink printed jacket, white blouse, polka dot skirt, bunny backpack and winged platforms. 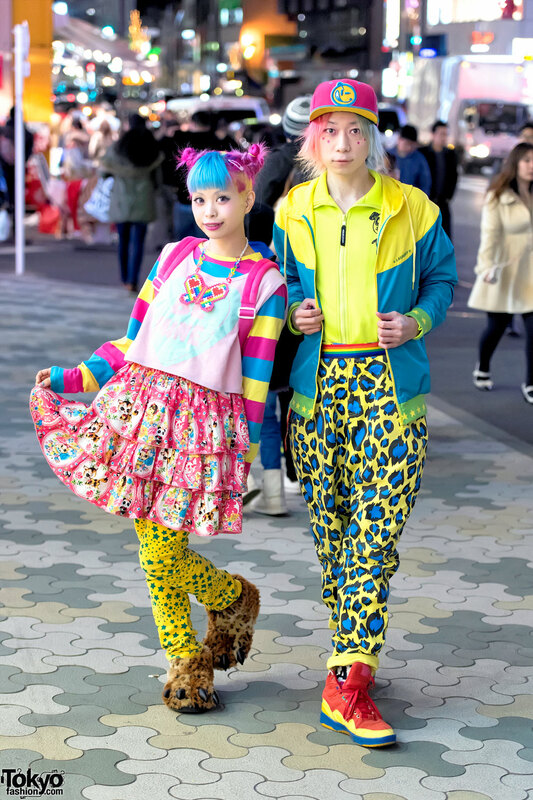 Harajuku girl wearing a colorful look featuring a Galaxxxy Japan jacket over a 6%DOKIDOKI top, a Milklim skirt, Swimmer plush muffler, and platform sandals. Harajuku girl with colorful hair wearing a leather jacket with a pink knit muffler, sheer skirt, fishnet stockings, boots, and a leather backpack. Harajuku girl with a cute blue and purple twin tails hairstyle wearing pastel fashion from Angelic Pretty, Swimmer, Milklim, and WC.